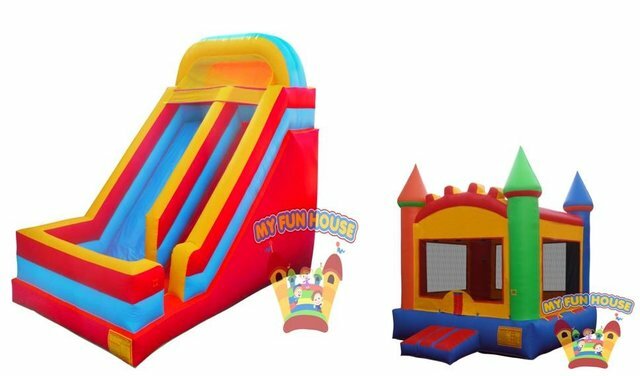 Combines our 18 foot giant side with a Castle Bounce House. ** Slide will not fit into school cafe's. It will fit in the gym and other function areas that have at least a 20 foot ceiling.